Yes, he’s really a minister: Ray Cannata (’90) and “Priscilla,” Kathy Fortier Cannata (’89), on a visit to Graceland. After you’ve eaten at every single restaurant in New Orleans — more than 700 restaurants, bistros, cafés, taverns, delis and dives — what do you do next? 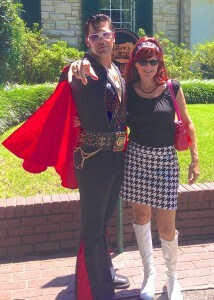 If you’re Ray Cannata (’90), you slip into a sequined polyester jump suit with plunging neckline and flowing red cape, hop aboard an electric scooter and hit the streets as the King of Rock and Roll. Not exactly what you’d expect from a Presbyterian minister, but then again Cannata isn’t your typical minister. 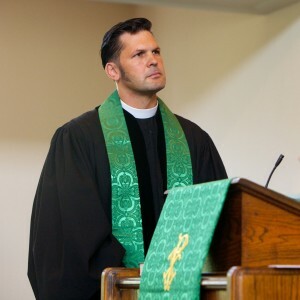 Before he was Elvis, Cannata gained fame as “The Man Who Ate New Orleans.” He and his family moved to New Orleans in 2005, shortly after Katrina battered the city, when he was named senior pastor of Redeemer Presbyterian Church. 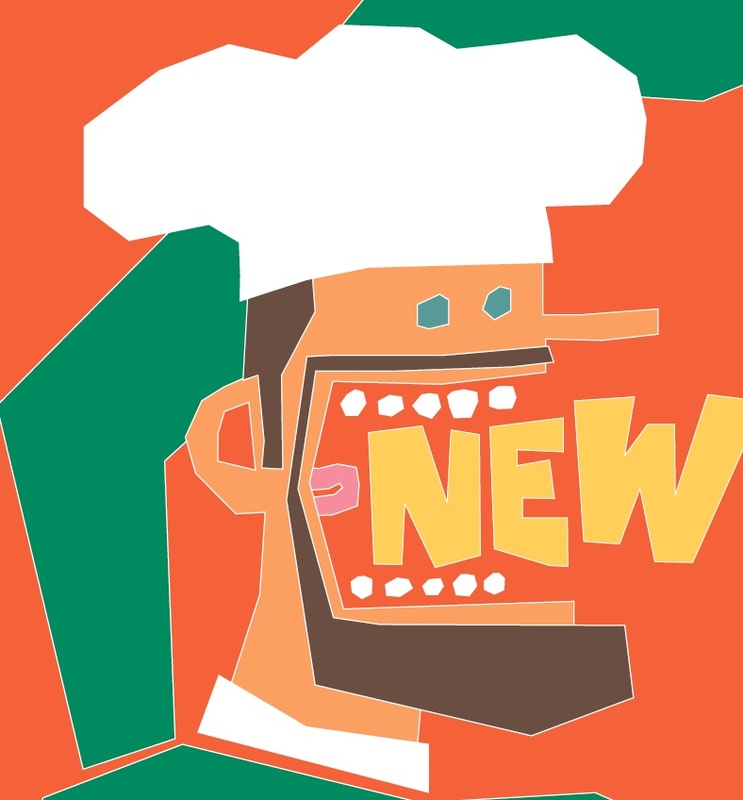 To get to know the people of his new home, Cannata embarked on a culinary quest to eat at every nonchain restaurant in the city. Read about Ray Cannata’s culinary journey in the fall 2011 Wake Forest Magazine. Cannata, 45, wasn’t just going to kick back after eating at the last of the 729 restaurants on his list. 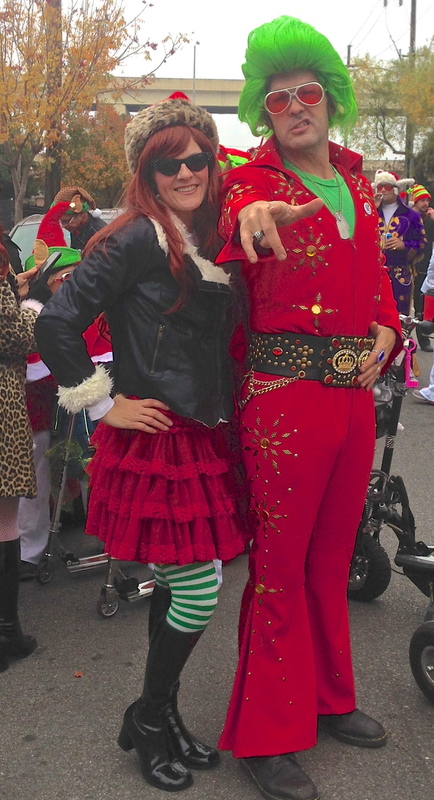 Although his musical tastes run more toward Johnny Cash and New Orleans blues and jazz than the King, he was born to be an Elvi. 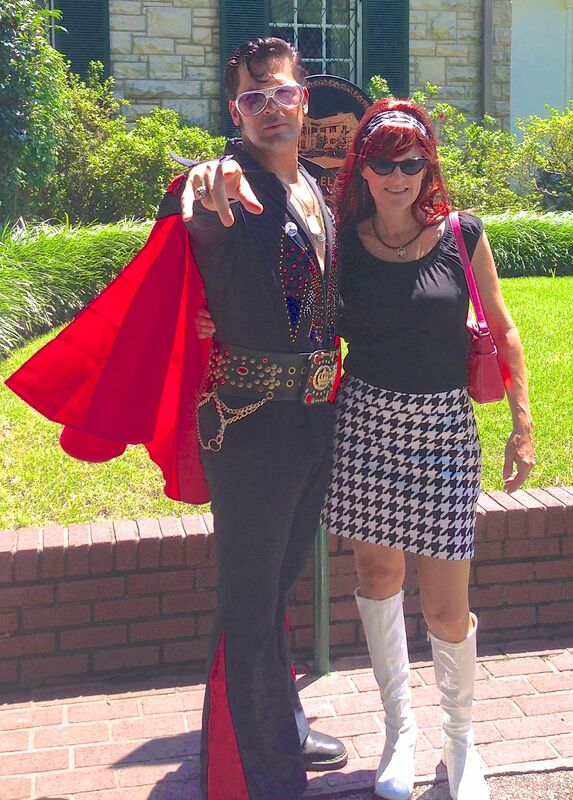 Like his culinary journey, having some fun as Elvis is just another way to celebrate the uniqueness of New Orleans and reach out to people who might not otherwise walk through his church doors. 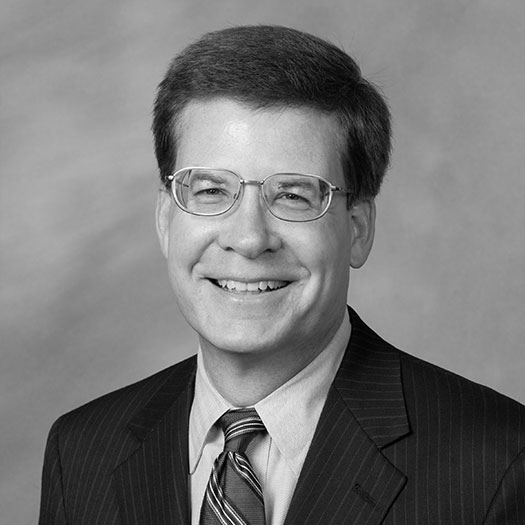 Ray Cannata: “People should smile when they see you coming.” Listen to a Podcast with Ray. The Rolling Elvi has become one of New Orleans’ more popular “sub krewes,” known for their zany antics, outlandish costumes and souped-up scooters. (Krewes are best known for sponsoring New Orleans’ Mardi Gras parades; sub krewes like the Elvi don’t sponsor parades but participate in parades sponsored by the larger krewes.) The 125 or so members, along with probationary members known as the Memphis Mafia and exactly 24 “Priscillas,” come from all walks of life. 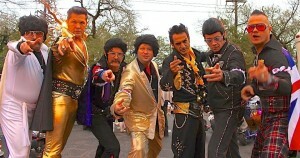 Cannata (second from left) with the Rolling Elvi. Watch a trailer from “Rolling with Kings,” a documentary on the Elvi. For all the fun he has, Cannata says it’s all for a greater purpose. Eight years after moving to New Orleans, Cannata is still eagerly swimming in the gumbo of diversity that makes up the city and loving every minute of it. 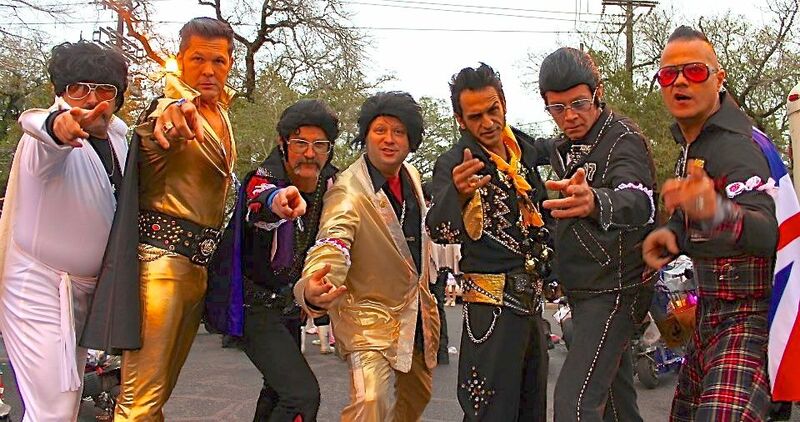 The great thing about New Orleans, he’ll tell you, is that a minster originally from New Jersey can dress up as Elvis on Saturday and in a clerical robe on Sunday, and no one will think that’s the least bit odd.